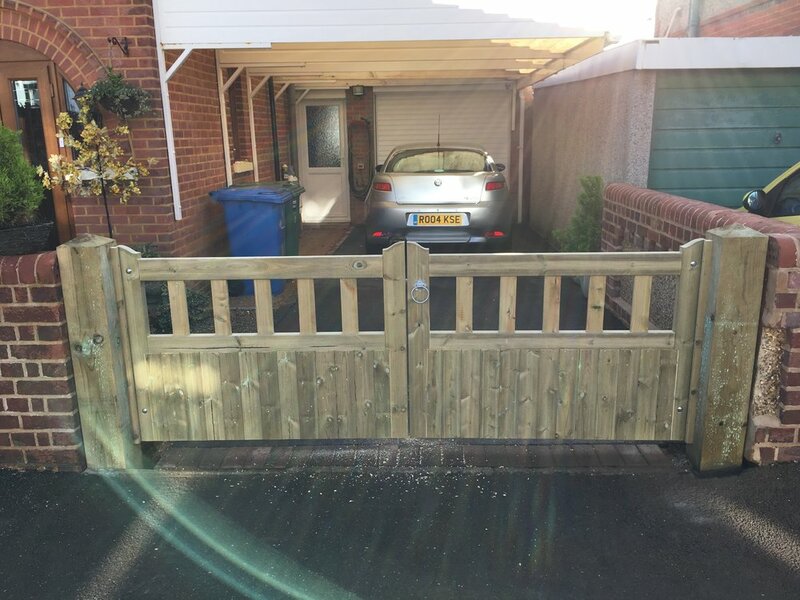 Wooden gate supply and installation in Bournemouth and Poole, closeboard, tongue and groove, framed ledged and braced, and driveway gates. 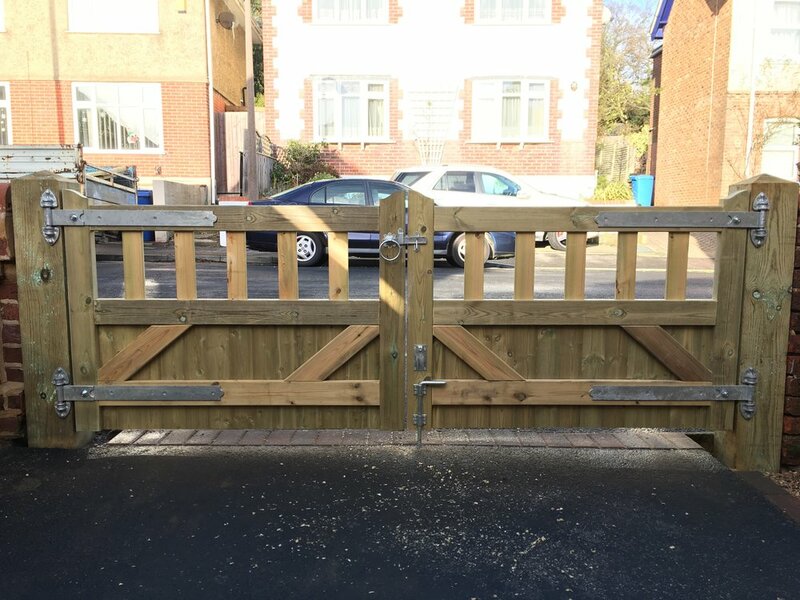 Whether it be for the side of your property or to front the driveway, we can supply and fit quality gates to your specification. 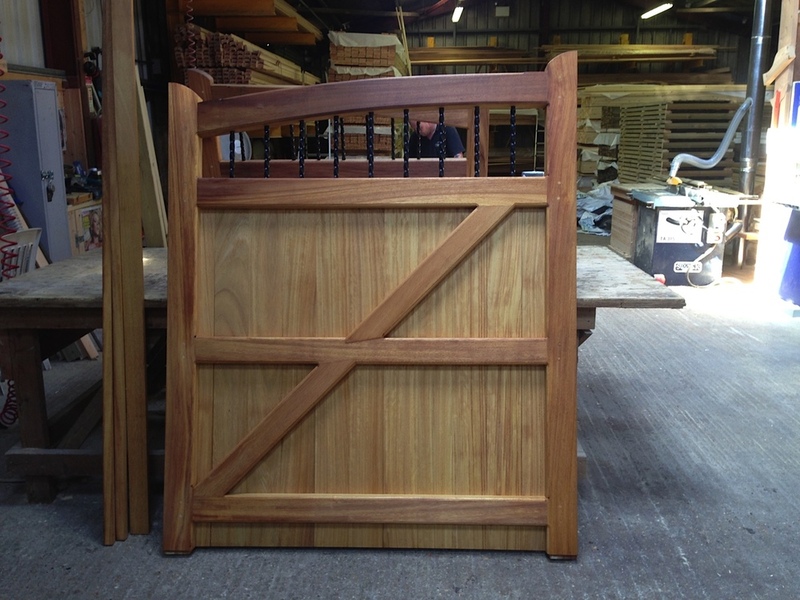 We have a range of gates to cover every taste and style, all are of the highest quality, as well as being available in softwood and various hardwoods including Cedar and Iroko. We supply driveway gates in thicknesses of 50mm and 70mm. Framed Ledged and Braced, Tounge and Groove as well as Closeboard are just some of the gates we offer. If you know the Style of Gate and Dimensions required, please use the Gate Enquiry Form below and we can send you a price via email. If you would prefer a visit to your property to discuss your requirements please use the standard Contact Us form below. The gates pictured below are the Classic Range. Chelsea, Knightsbridge, Mayfair and Richmond are all 70 mm thick and suitable for automation. 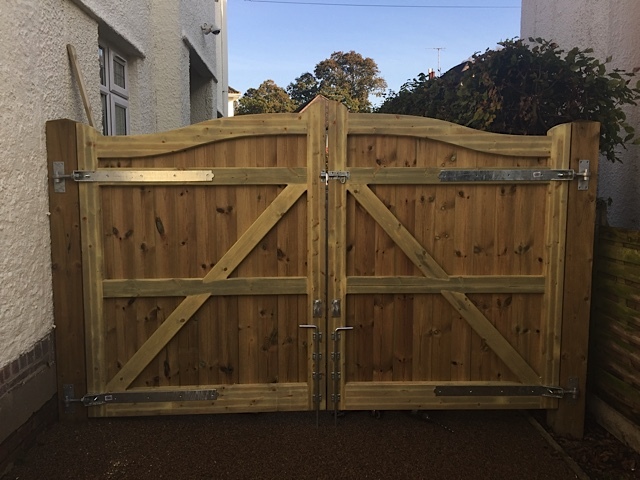 All gates in the Classic Range are available in Softwood and Hardwood. Showing Chelsea gates in Iroko Hardwood. As you can see these can be made to accommodate any height to suit. In this picture the front gates are 3ft, the gates to the rear of the picture are 6ft. 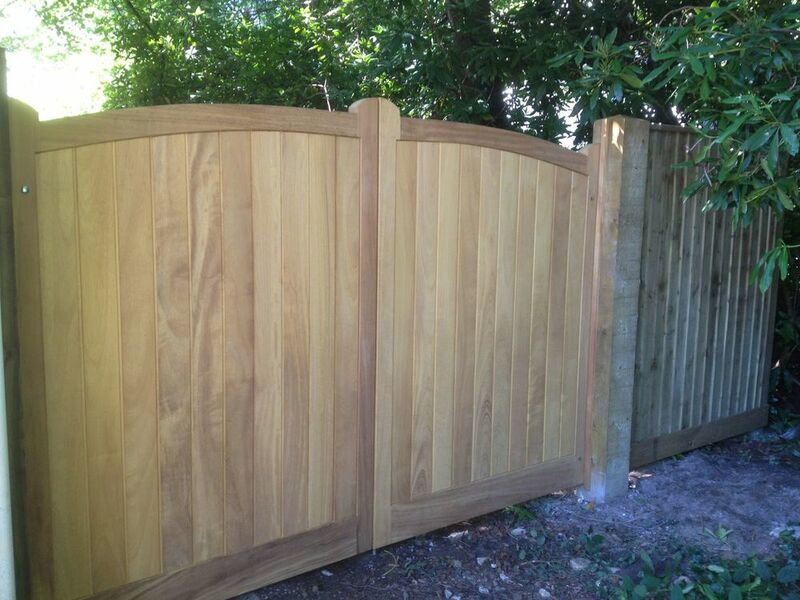 Pictured below, these gates are 50mm thick, finished with tongue and grooved boards. Showing the rear of Framed, Ledged and Braced Gates. These gates are also 50mm thick.